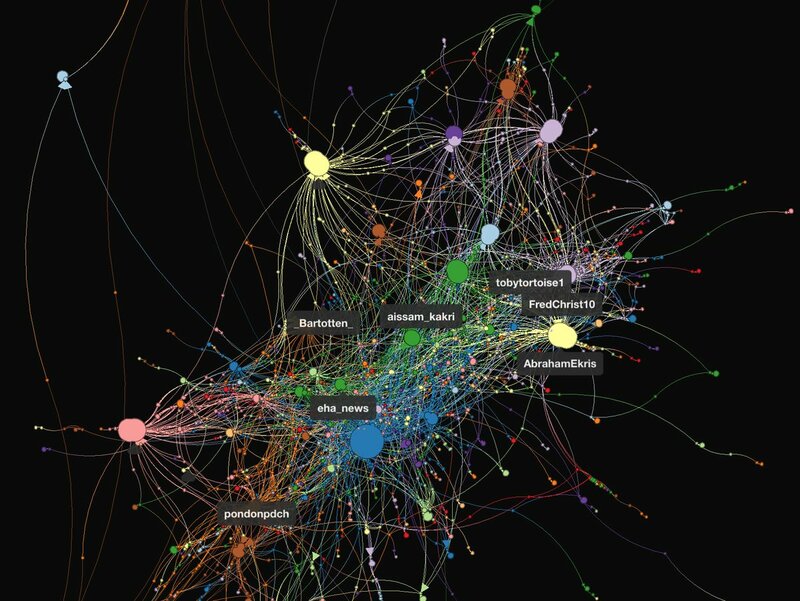 Twitter (along with other social media sites) is increasingly being linked in/embedded from articles posted by large media outlets. 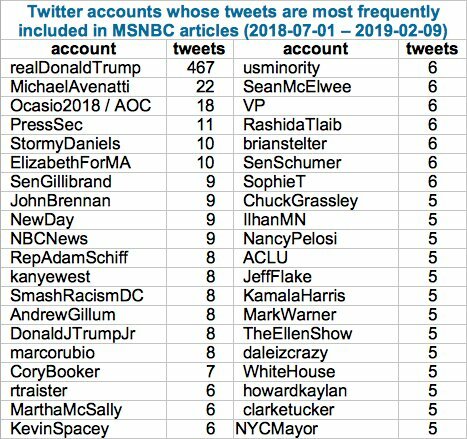 Let's take a quick look at which Twitter accounts four media sites amplify. 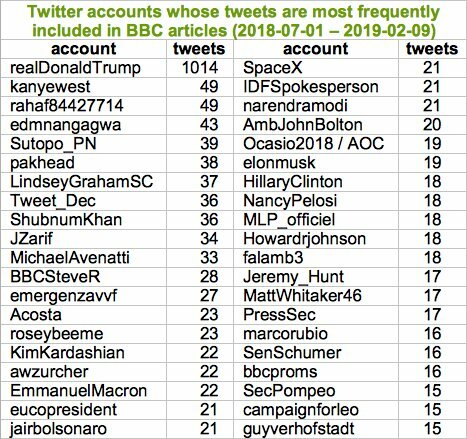 We analyzed the articles posted by three of RT's official English-language Twitter accounts (@RT_com, @TR_America, and @RTUKNews) from 2018-07-01 until 2019-02-09. 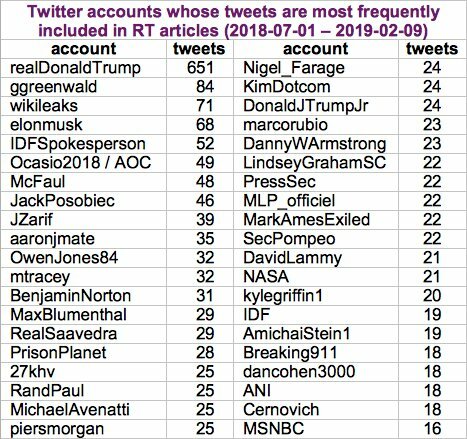 Topping the list of Twitter accounts most frequently included in the articles are @realDonaldTrump and @ggreenwald. 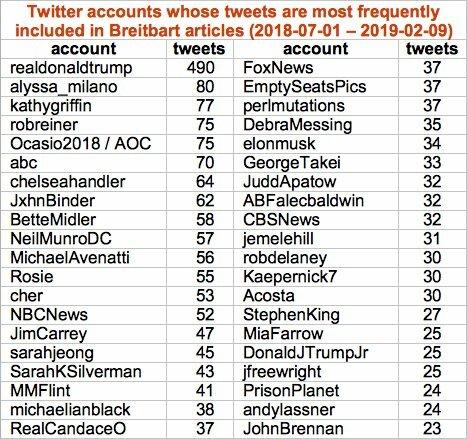 For comparison, here are the 40 accounts most frequently featured in articles from MSNBC, Breitbart, and the BBC. All countries do psychological profiles of other foreign leaders to determine how they can be manipulated. North Korea may have determined that if they flatter Trump, they can achieve normalization of relations and easing of sanctions without denuclearization. That’s dangerous. 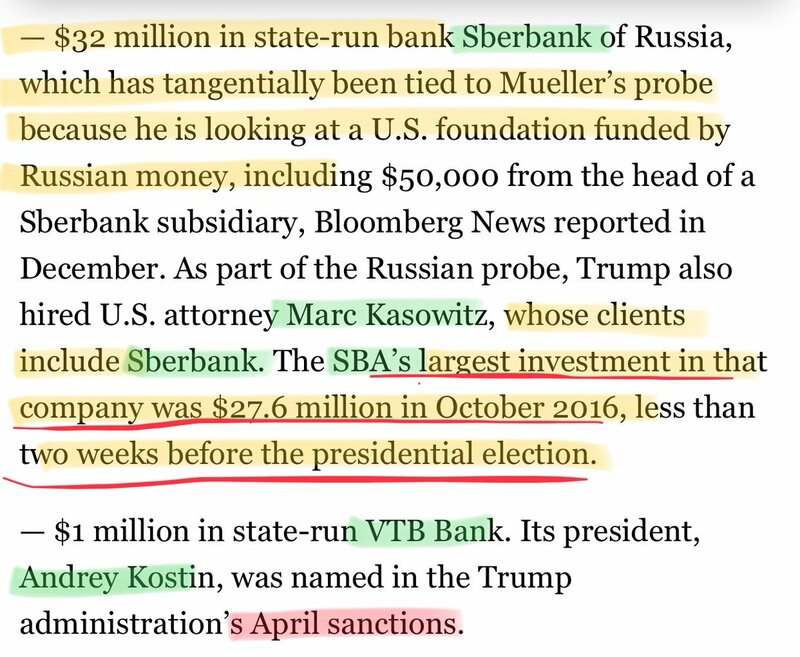 Isn’t it a crazy f’ckin’ coincidence that corrupt Florida Governor @FLGovScott prefers to invest Florida’s pension funds and SBA in Russian companies as opposed to American companies⁉️The Florida Presidential election was targeted by Russian hackers... Think about it? ?Here’s Glenn Simpson’s testimony where he talks about “illicit purposes” & money from pension disbursements and mentions a Russian lawyer in Sunny Isles Florida who worked w Gazprom- one of the companies Florida invested in for their Pension Fund? Is Pam Bondi seeking asylum in Ecuador yet? "And we've inquired into it, and we've had correspondence with them. I didn't make a big deal out of it or hold a press conference, but we have been looking into the Trump Foundation to make sure it's complying with the laws that govern charities in New York." According to Trump's campaign, the donation was a mistake, caused by a clerical error. 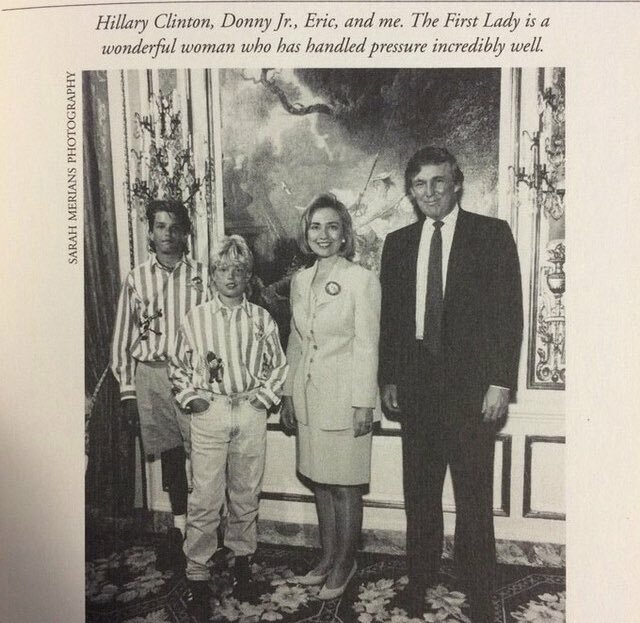 The campaign also pointed out that Schneiderman has come out publicly supporting Trump's opponent, Democratic nominee Hillary Clinton. The incident began when Pam Bondi personally solicited money from Trump for her campaign, according to The Associated Press. From there, the story gets a little complicated. Kinda like California pensions- WHERE IS THE MONEY? Oh only 9.5 million? Let’s ask Austin Beutner about the other $$$. Quote: History will remember that Sen. Susan Collins, R-Maine, provided the shadiest moment of a massive cover-up that produced Kavanaugh's ascent to the Supreme Court. Staged for the camera with senators Shelley Moore Capito of West Virginia and Cindy Hyde-Smith of Mississippi behind her, Collins demanded the nation’s attention to make a case that Kavanaugh would preserve Roe v. Wade and legal abortion, and reduce the number of 5-4 court rulings. If this accurately described President Donald Trump's second nominee for the court in any way, “pro-lifers” would be in the streets burning copies of "The Art of the Deal." And Vice President Mike Pence would be with them, on Sen. Ted Cruz’s shoulders. Instead, Operation Rescue — a group working since the 1980s to make America “abortion-free” by almost any means necessary — stood “in unwavering support” of Kavanaugh. It’s bad enough that Collins enthusiastically lied to America about this nominee. But by holding out to end of the process to make her case, she validated every sick twist of this sham. Collins backed a life-long partisan whose record from the George W. Bush White House has been carefully concealed from the public, facilitating a tsunami of mistruths during his testimony. She endorsed a nominee who melted down and promised vengeance against Democrats. She validated the attacks on Dr. Christine Blasey Ford, led by Trump, who mocked her imperfect memory of the assault to suggest she’s a liar and not just a typical trauma victim. And she enabled Republicans to put a woman’s face on this sick effort to silence survivors with an investigation so limited it might as well been conducted by Kavanaugh’s pals Squi and PJ. Susan Collins drove the train over Dr. Ford and she keeps turning back to spit on the burning embers. Bill Dallas is a convicted embezzler whose companies-United in Purpose & Pioneer Solutions—appear to be responsible for 2 massive voter data leaks in 2015 (191 million records in the first and 54 million in the 2d). 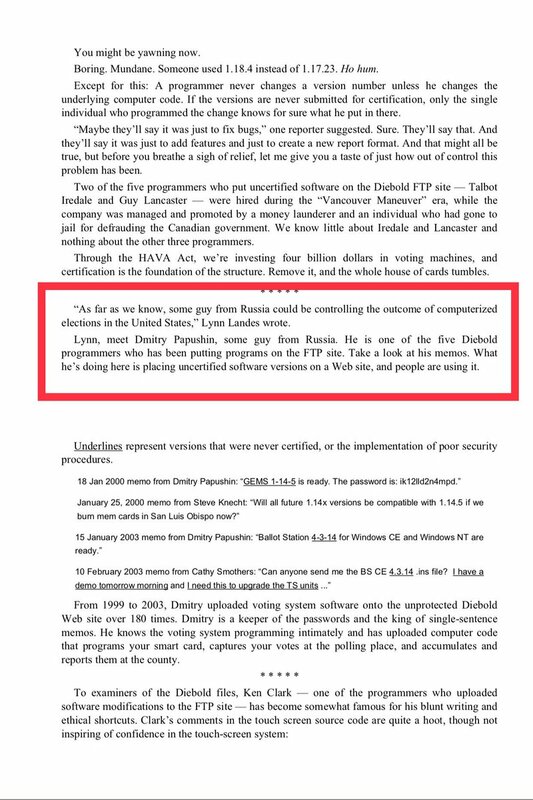 @VickerySec found these leaks. Bill Dallas’s United in Purpose has previously worked closely with the Faith and Freedom Coalition founded by Ralph Reed. Sold 70% Frac Tech, in 2011 for $3.5 billion. 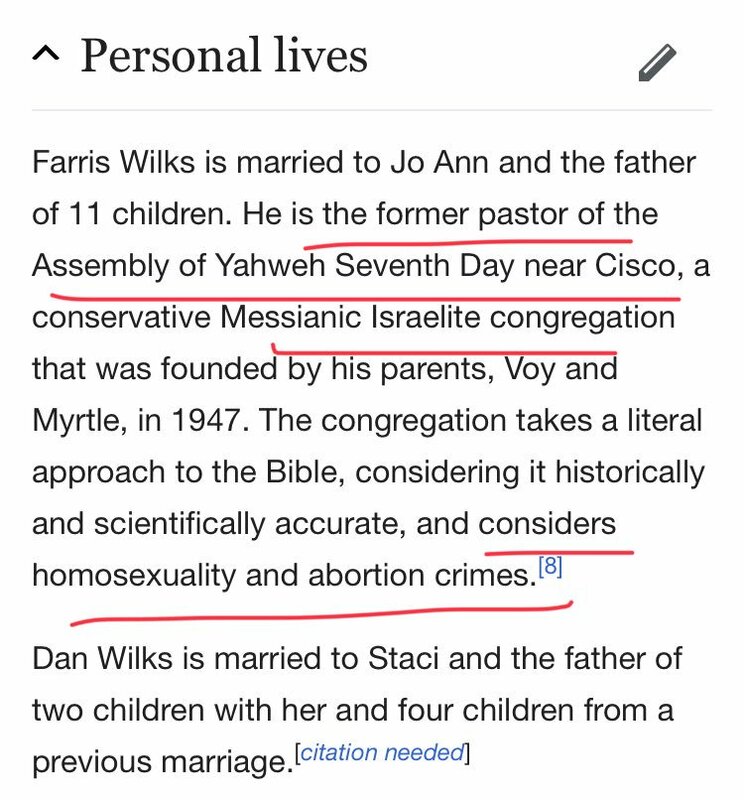 Anyone know anything about Assembly of Yahweh Seventh Day? 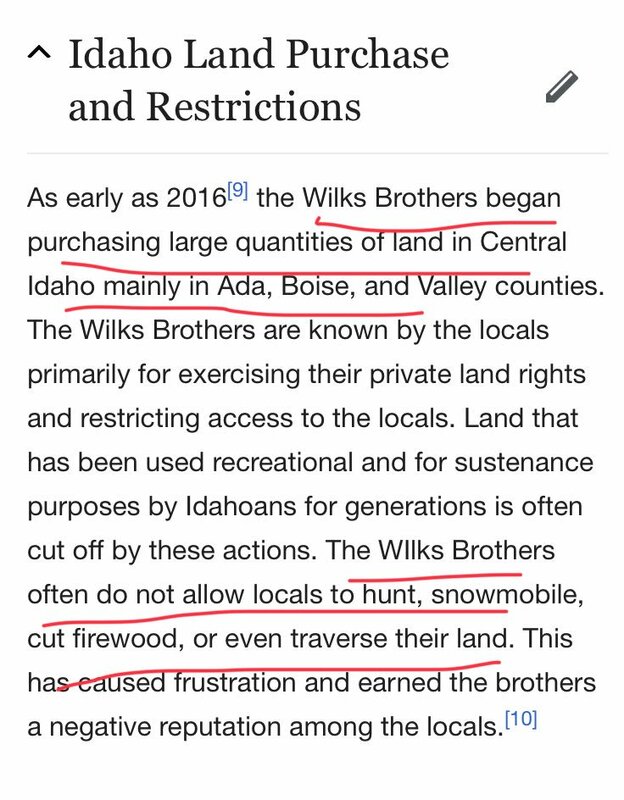 “As early as 2016 the Wilks Bros. began purchasing large quantities of land in Central Idaho mainly in Ada, Boise, and Valley.” What’s going on in this area? 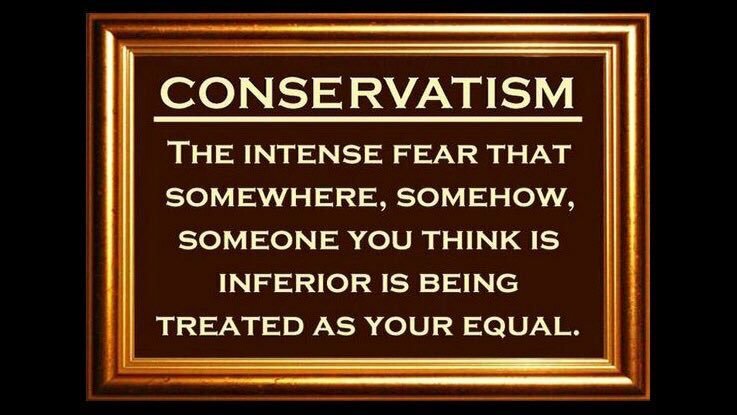 Does this ring any bells for any of you? Another email out of Cisco this is from Lauren Lofstrom. Who? 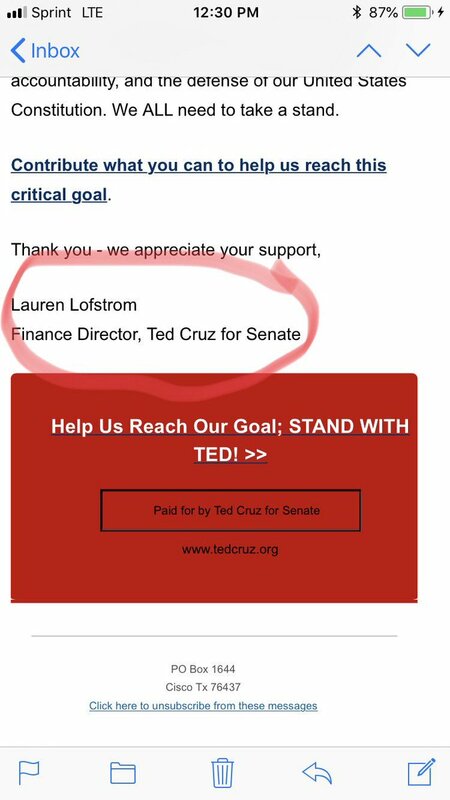 Ted Cruz’s campaign finance director. Let’s dig. Clergy, monks, diocesan administrators & officials of the Church were arrested, deported, taken to a concentration camp in the Reich, or simply shot. Like Hitler: Trump is creating a new form of Christian nationalism centered on himself—Trumpian patriotism is the new piety. Notwithstanding cultist personality attraction, there are other reasons the religious nationalists love Trump. 2/ Barton ran “Keep the Promise,” a multimillion-dollar Cruz super-PAC. Barton is the founder of WallBuilders, a Christian ministry. He writes books & hosts radio & TV shows to convince evangelicals and others that America was once a Christian nation and needs to be one again. 3/ His 2012 book, “The Jefferson Lies: Exposing the Myths You’ve Always Believed About Thomas Jefferson,” was condemned for its historical inaccuracies and its attempt to turn the third president of the United States into a member of the 20th-century Christian right. 4/ Despite that the publisher pulled the book from print, Barton defended his portrayal of Jefferson. In 2016, the right-wing website World Net Daily republished the book, claiming the publisher had bowed to the gods of political correctness when it decided to stop publication. More like a day which will live in irony. 12/7/41 - POTUS rallies the nation as US entered WWII to save our freedom & Democracy. 12/7/18- POTUS rages on twitter, rallying Americans to fight each other - to save his own skin. Abramoff was a lobbyist for Diebold Election Systems (a vendor of paperless voting machines) & went to prison for bribing the GOP sponsor of the Help America Vote Act, Bob Ney, who defeated legislation that would have banned paperless voting machines. 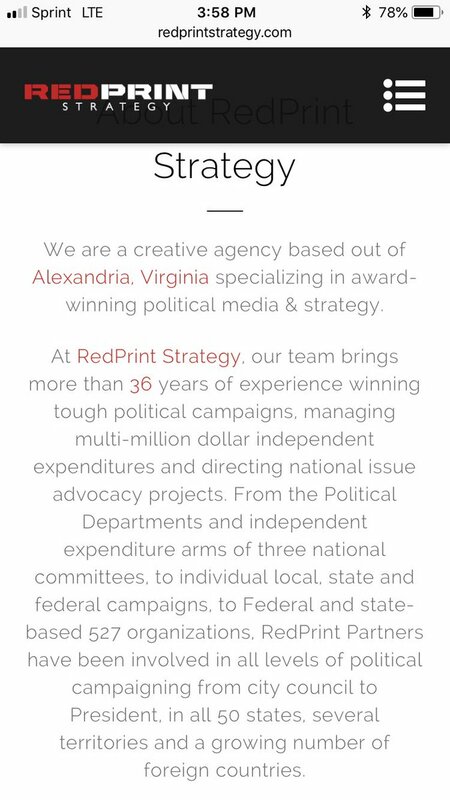 Bill Dallas, Ralph Reed, and Jack Abramoff all belong to the Council for National Policy, a secretive umbrella organization for the many Christian Right think tanks and Christian Right leaders throughout the nation. Other CNP members include KellyAnne Conway (a former consultant to Cambridge Analytica), Steve Bannon (the former VP of Cambridge Analytica), Richard DeVos, and Wayne LaPierre of the NRA. 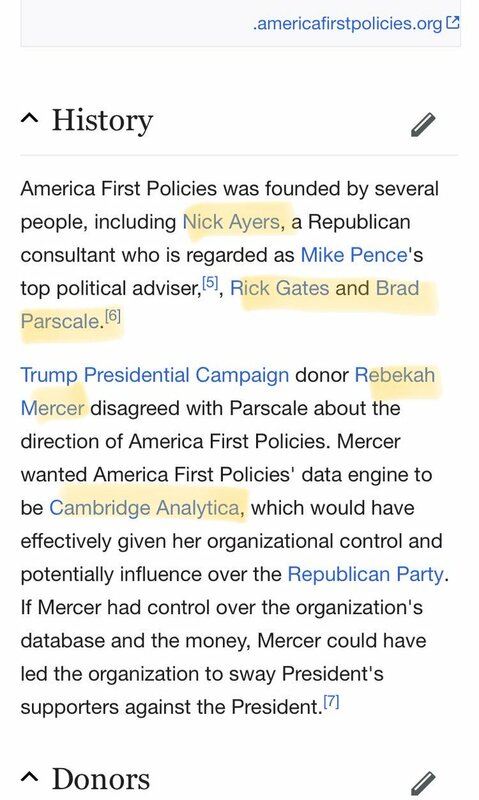 As explained in my sourced Medium article in post 15, the Mercers (who funded Cambridge Analytica) are also in the CNP, as is Mike Pence. As further explained in my sourced Medium article in post 15, Business Records Corporation (which was funded by CNP co-founder Nelson Bunker Hunt) merged with AIS (which was funded by the family of CNP member Howard Ahmanson) to form ES&S (44% of US election equipment). Nelson Bunker Hunt and Howard Ahmanson are both Dominionists, as are many other members of the CNP. The wife of Putin’s favorite congressman, Dana Rohrabacher, once teamed up with a Howard Ahmanson PAC in California to put a phony Democrat on the ballot, leading to felony election fraud charges (to which Rohrabacher’s wife plead guilty). As explained in my sourced article in post 15, the CNP has long had a cozy relationship with Russia. But the Mercers and Cambridge Analytica supposedly preferred Ted Cruz for president, whereas Russia preferred Trump. This suggests that Trump may have won the Republican primaries with only Russia’s Help, not the Religious Right’s or Cambridge Analyticas. But Trump made nice with the two factions which may have actively worked together for the first time because of Trump, who has made all sorts of concessions to both factions. He has effectively put Cambridge Analytica and the Religious Right on Russian steroids. Again, the Religious Right was already very warm toward Russia. But Trump seems to have been the catalyst for active coordination between the two for the first time in a US election. Meanwhile, the CNP has set a 2020 deadline to “restore” religious and economic “freedom”under the US Constitution. This thread suggests Cambridge Analytica May have been working for Trump from the start, which is difficult to reconcile with the article stating that CA initially wanted Ted Cruz instead. I want to take another look at those Republican primaries. Related Thread re: CNP member Jim DeMint. Jim DeMint, who won his Senate seat under suspicious circumstances and is a member of the Council for National Policy (to which KA, Bannon, & Wayne LaPierre belong), is helping the Kochs push 4 a Constitutional Convention. The RAF at the time was being trained in East Germany and committing terrorist attacks in West Germany. Putin then came back to Leningrad and watched what he called one of the most tragic events occur, the fall of the Soviet Union. While in Leningrad Putin made alliances w powerful mafia figures who who controlled politicians & were under protection of intel agencies. Putin was taken under the wing of Sobchak and began running the Committee for External affairs handing out contracts for food that never came, Putin was aligned w 3 major mafia orgs and around this time met Mogilevich who was heading the int’l branch in Budapest for solntsevo (Mikhas) mafia in Moscow. Mogi would later be rumored to have compromised Orban handing the evidence to Putin resulting in Orban becoming a puppet. new court filing, KONSTANTIN KILIMNIK, the Russia intelligence-linked PAUL MANAFORT deputy, was in DC for TRUMP's inauguration, & met with Manafort about a Russia-Ukraine peace plan that we know envisioned a role for Russia-aligned former Ukrainian president YANUKOVYCH. KEY CONTEXT FROM MUELLER: MANAFORT had motive to hide & lie about the $125k paid to him through the pro-Trump @RebuildingAmNow super PAC because: 1) he was trying to hide his financial problems. 2) he had billed himself to TRUMP (& the world) as working for the campaign for free. Quote: “Disinformation makes up 90 percent of today’s warfare. The Kremlin’s strategy of engaging a subversive Western influence network to promote its agenda has finally become a matter of concern for national security practitioners in Europe and America. For example, Estonia’s Foreign Intelligence Service chief recently acknowledged that there is a network of politicians, journalists, diplomats and businesspeople operating in his country as agents of Russian influence. Leading Kremlin watchers have already taken initial steps towards analyzing Moscow’s attempts to engage the international expert community in its information warfare campaign. The present analysis is strongly influenced by these preceding efforts. It also draws on exclusive research data obtained from eleven reputable experts, each of whom took part in an expert survey conducted by the European Values Think-Tank in July 2018. This study is also based on a wide range of open-source materials and numerous face-to-face interviews with international experts, civil society organizations, journalists and researchers. Welcome back. These images need to be reintroduced continually, to show the hypocrisy. Thank you for being on LOP. Chris Hood telling the world and being ignored about how Urosevich arrived Personally in GA to apply the patch to a smattering of Diebold machines to guarantee the win for GOP candidates all over state..
Voting machines are privately manufactured and developed and, as with other many other IT systems, the code is typically proprietary. Quote: One would think ( or hope) that a private industry entrusted with America's votes would require the highest degree of personal integrity from it's employees. As it happens, many of the key staffers behind our major voting machine companies have been accused or convicted of a dizzying array of white-collar crimes, inclulding conspiracy, bribery, bid rigging, computer fraud, tax fraud, stock fraud, mail fraud, extortion, and drug trafficking. Also great Research by Bev Harris who was really the best and Earliest Election Integrity Fighter... Jeffrey Dean was part of the Clan that Broke into the Watergate hotel / Nixon era Criminal also went to jail for embezzling and there is a HISTORY of Stock Market Manipulation! As feared #Election2016 the #Dominionist #Votehacking systems built to invite Jesus, became a doorway for #Russia. 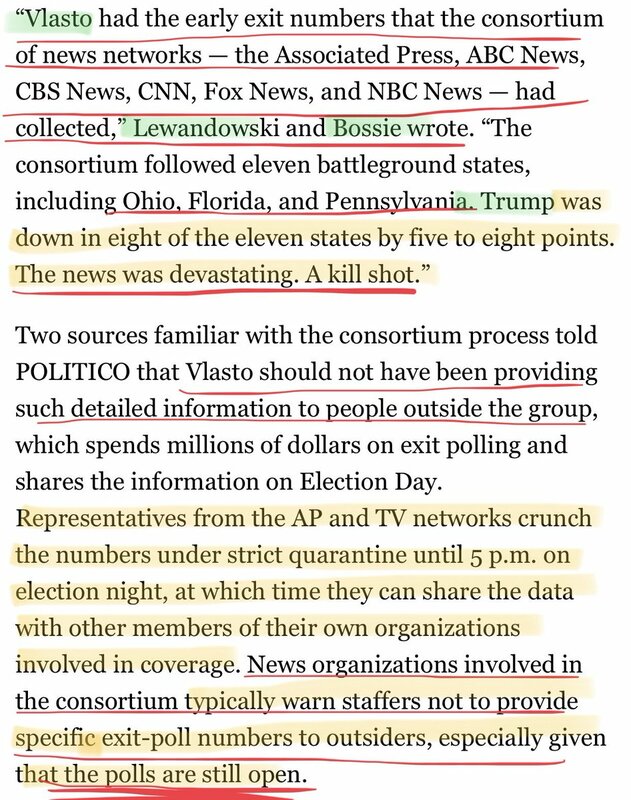 If the polling info was illegally leaked to the #ProjectAlamo #BradParscale #JaredKushner #SteveBannon #CambridgeAnalytica op at 5:01 EasternTime when #ChrisVatso retrieved his quarantined phone- the rapid response to suppress or stimulate vote in certain preplanned areas would have been set up in advance , to use as necessary. They had in #ProjectAlamo practiced during the campaign debates etc. pushing rapid messages on a grand scale out to targeted voters through social media , tweets, text messages. 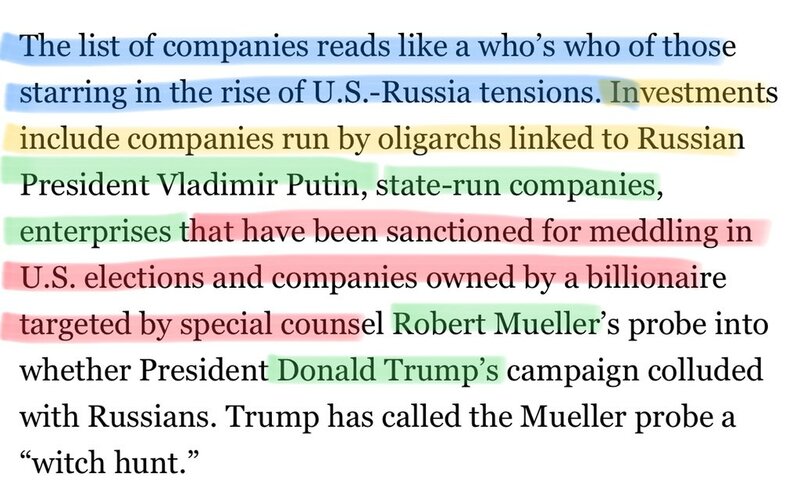 Parscale discussed - minus illegal leaks. It was more than "pushing targeted voters" to the polls. It was flipping votes at the SOS level in all critical electoral college states: OH, WI, MI, PA, FLA.